I do use them! Hiurs of simmering so I have no fears,,,,but I don't tell! Today's breakfast was a riff on the Country Ham--Wrapped and Roasted Peaches from Deep Run Roots p 456. I've made these before, as written except for subbing prosciutto for the thin-sliced country ham. 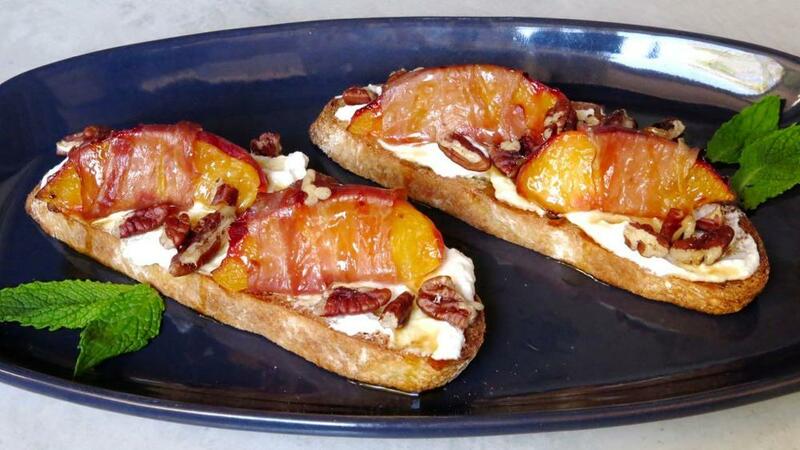 The wrapped and roasted peaches are served on a pool of gingered goat cheese, drizzled with balsamic honey and sprinkled with pecans. For this round, I spread the gingered goat cheese on toast. I suppose it's a little more luxurious without the bread but this did seem a little more breakfast-like 🙃! @blue_dolphin As alwys, I want to be your friend at the table! I noticed when I was watching some of Vivian's shows that she has a bit of "ginger love". Does she explain in th book (still resisting and library won't order) if ginger is a part of her Eastern North Carolina culture? Course I recall star anise as well which I don't think has a deep basis. There are indeed quite a few recipes in the book that call for ginger - 27 of them according to EYB. I can't recall an explanation of Vivian's affinity for it though. Maybe someone else will remember. 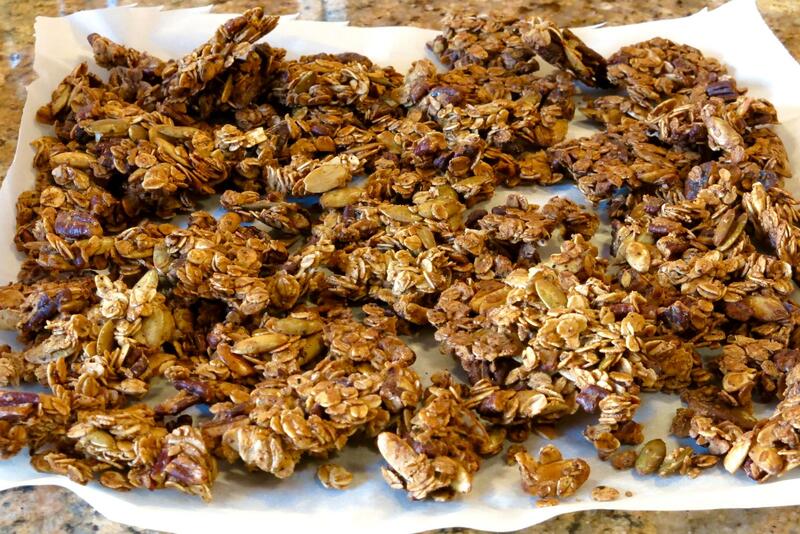 I made up a half batch of the Spiced Pecan and Pumpkin Seed Crumble from Deep Run Roots p 135. 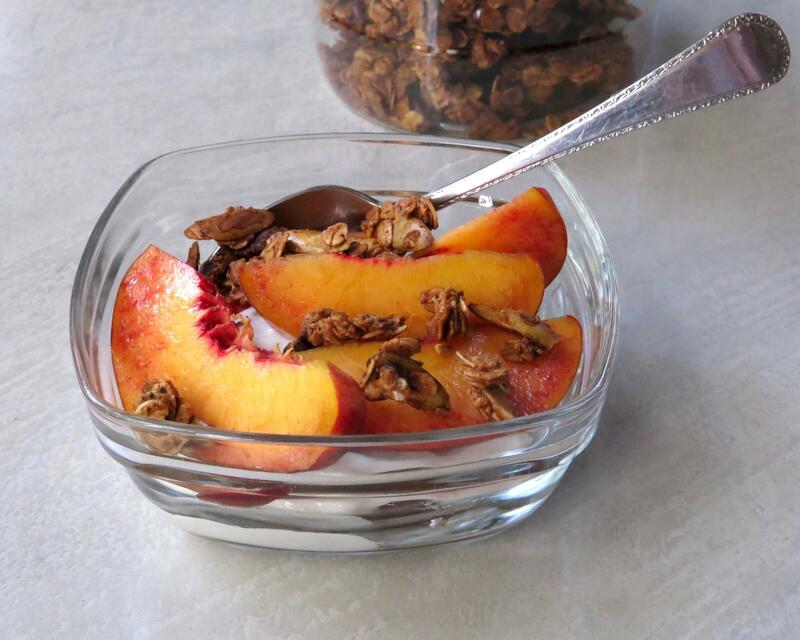 The header notes say this is like a savory granola, meant for a snack, salad or cheese plate. The savory spices (cayenne, fennel, Worcestershire sauce) appeal to me and I thought it might take my ordinary fruit and yogurt up a notch. I encountered one oddity in the instructions. You're to whisk 2 egg whites until "quite foamy" then add additional ingredients, including 1/4 cup grapeseed or sunflower oil, and continue to whisk until you have stiff peaks. I'm not sure who can get egg whites to form stiff peaks with that much oil in there, but it's not me. I'm not sure who can get egg whites to form stiff peaks with that much oil in there, but it's not me. The crumble looks great, but I was always taught that you needed scrupulously clean beaters and bowl to whip egg whites because even a trace of fat will interfere. So yeah, that is a very weird instruction. 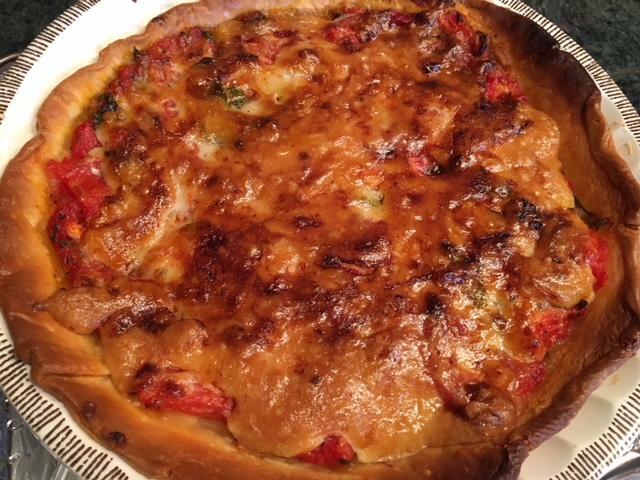 I finally got around to making the Roasted and Fresh Tomato Pie from page 272. Yesterday was another day full of canning tomatoes so I figured it was a good time to make this since I was peeling tons of them anyway. She loved it and and we did too. Since I don't have the book I don't know if I got this recipe from a loaner or somewhere else, but it is definitely a Vivian recipe: Okra Oven Fries. Really simple and really good. They are crispy and the roasting intensifies the flavor the way it does for green beans. 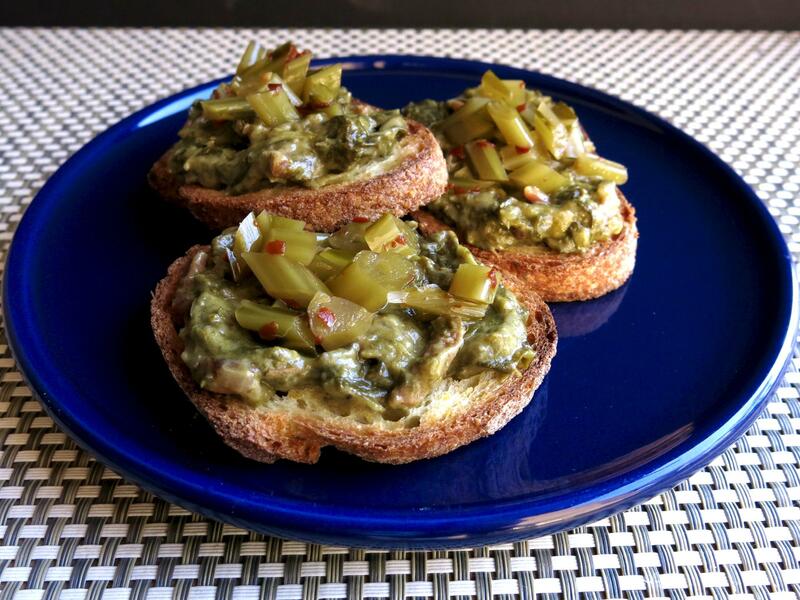 For anyone scared of okra these are a no-brainer, since the thing you think you don't like about okra has no way of happening. Vivian says to eat them hot or just warm, but they do lose a bit of crispiness if the sit around. My husband and I scarfed down a surprisingly large quantity as a side to a tuna and rice salad. 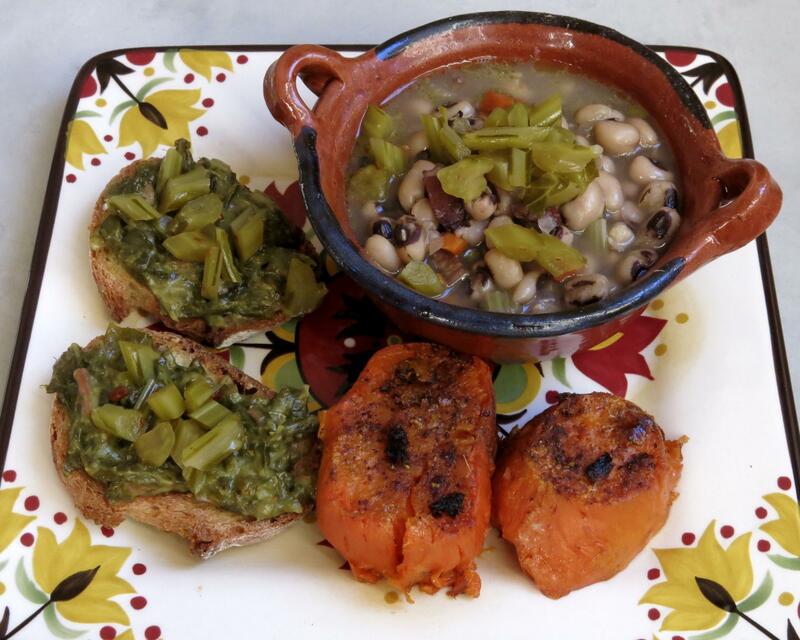 Like green beans, they shrink a bit in the roasting, so buy generously. Straight out of the oven these would be great for apps. 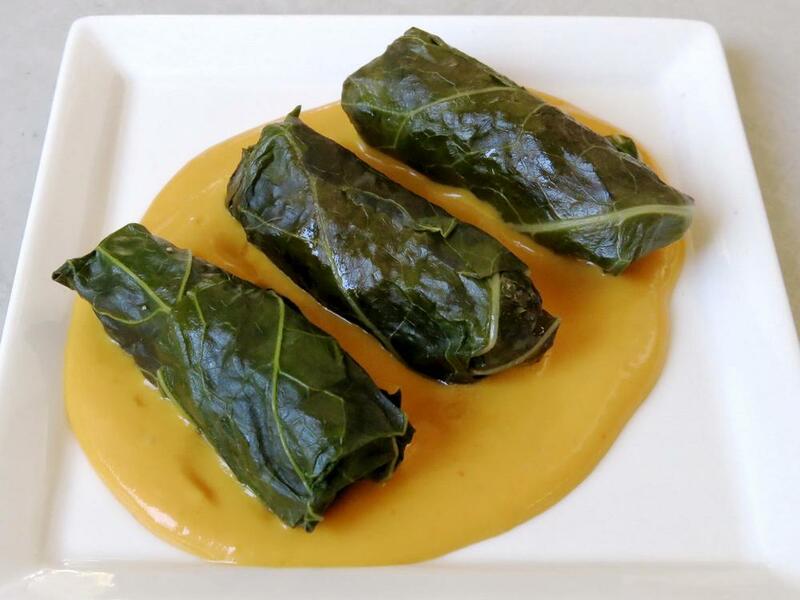 For New Year's Eve, I made the Collard Dolmades with Sweet Potato Yogurt (I previously posted about them here) from Deep Run Roots p 438. I made these smaller, with ~ 1 T of filling and they were a hit. This left me with leftover collard stems, collard leaf trimmings and half a roasted sweet potato so I made a small batch of Stewed Collards p 426 and used them in the Creamed Collards with Pickled Collard Stems p 429. I also made a small pan of Mom's Cornpone p 28 which was a bust so I spread the creamed collards on toasted slices of pan de pueblo bread made a at local bakery from corn and wheat flour. The creamed collards are very rich so the pickled stems are a perfect addition. They were also good to perk up my bowl of black eyed peas. I will never throw collard stems away again. I used the leftover roasted sweet potato to cook up a few slices of Grandma Hill's Candied Yams p 314 subbing in the Baharat spice mix from Shaya for the seasoning. The sweet potatoes were also very good and made me wonder why I don't keep them around more often. 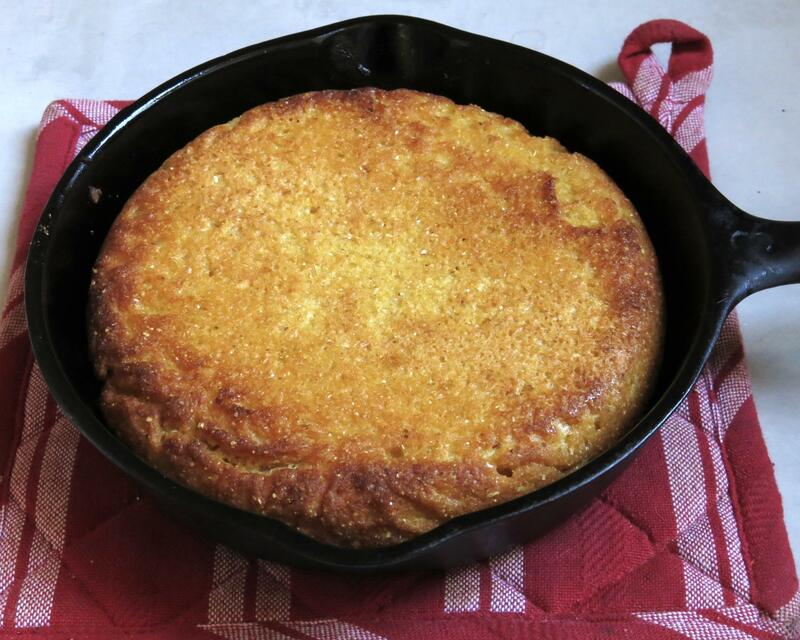 The cornpone batter is just cornmeal, water, salt and a touch of sugar and it's cooked in bacon fat in a screaming hot cast iron skillet. Mine came out dry in the middle although the edges were crisp and tasty. I could probably play around with the amount of water and thickness to make it better but not sure it's the kind of thing I should be eating a lot of. I've been saving Vivian's recipe for Crispy Ginger Rice with Leeks for a rainy day when I only had one leek languishing in the crisper. All you need for this recipe is a leek, ginger, garlic and rice. If you already have the rice cooked and chilled it's a snap. Her suggestion for additions are great. Sliced sautéed shitakes would have been perfect. Next time. I assume the recipe is from the book, but I can't guarantee that, since I don't have the book now. Another variation would be to treat the crispy rice like sizzling rice and throw it into hot chicken broth if that was on hand. It almost makes me wish I was sick. And of course that someone else would make it.